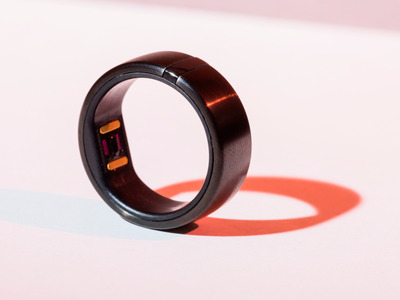 The Motiv ring is a smart ring that tracks your activity, heart rate, calories burned, distance covered, and hours of sleep. Wearables startup Motiv launched the first-generation ring last year, but now it’s back with the second-generation ring that has an interesting new feature: two-factor authentication. I’ve been using the new Motiv ring for about a week to see if it could track my lifestyle, and help keep me more secure online. 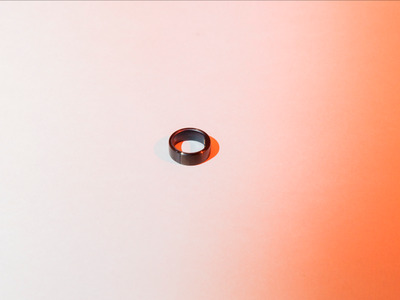 The most important thing to know about the Motiv ring is that it’s intended to be worn at all times. While that’s the case with most fitness trackers – wearables like the Apple Watch and Fitbit products have water resistance and sleep-tracking capabilities for that reason – it’s not always feasible given battery life and the overall size of the device. But Motiv is the first wearable I’ve tried where 24/7 wear is actually possible. 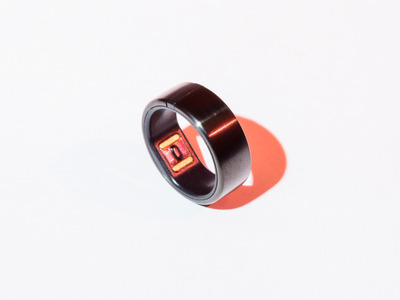 That’s thanks mainly to the ring’s battery life: it lasts about three days on a single charge, which is about twice what a lot of high-end smartwatches can do. It’s also easy to charge, since it snaps magnetically onto a tiny USB charger and takes about 90 minutes to charge up. 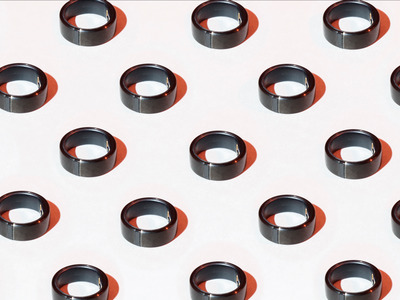 The Motiv ring is made from titanium, and I’d estimate it’s about the same size as a standard men’s wedding band. When it’s on your hand, the only way you can tell the Motiv ring is “smart” is a thin strip that lights up when charging or syncing. The second-generation Motiv ring looks nearly identical to last year’s model, with a few notable changes. For one, Motiv slightly tweaked the finish on this year’s version, giving it a glossier sheen. Motiv also added a new colour this year – silver – along with updated shades of black and rose gold. I tried the black ring, and I was impressed by the look and feel. 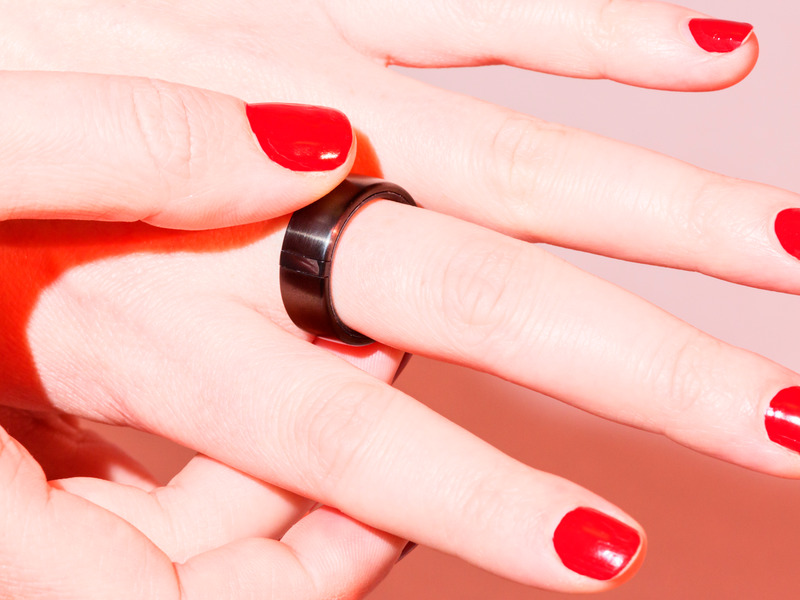 For women, or anyone with small, slimmer hands, the ring may take a little while to get used to. It’s not heavy, and there’s nothing that scratches or irritates your skin, but it’s just thick enough to be noticeable. I found myself taking it off sometimes during the day because it would become cumbersome while I typed. When I tested the Motiv ring last year, my ring bore several scratches after only a week of wear. This ring costs $US200, after all, and I expected it to hold up a lot better. But the new finish this year means it’s less susceptible to scratches. I’ve been wearing the ring almost nonstop for about a week, and it doesn’t have a single scratch on it. 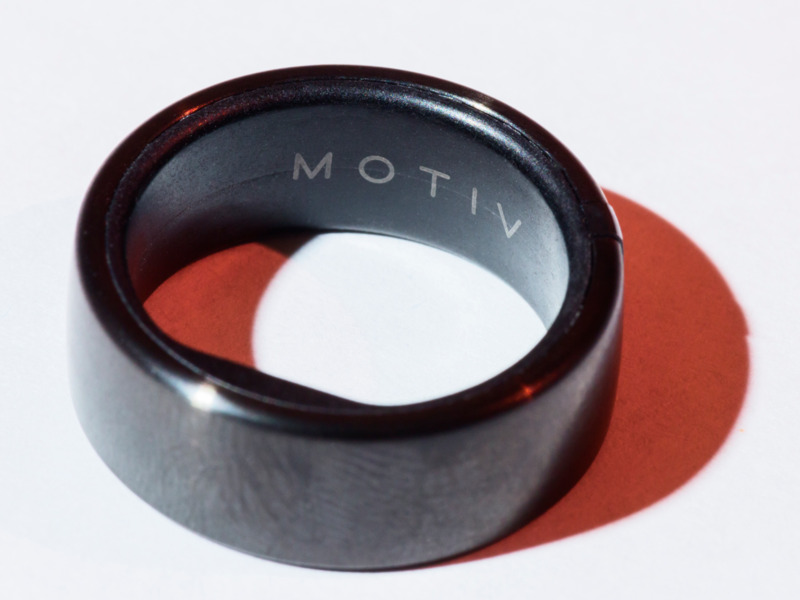 Like last year’s model, the new Motiv ring is also waterproof up to 165 feet. While I never went swimming with it on, I kept it on while washing my hands or doing the dishes and had no problems. The best thing about the Motiv ring is that it can store your activity on the ring – in fact, it can handle being separated from your phone for up to five days at a time. This means that you can leave your phone behind, then sync your data to the app later on. When you’re back in range of your phone, all you have to do is twist your ring around your finger a few times, and it will sync up. 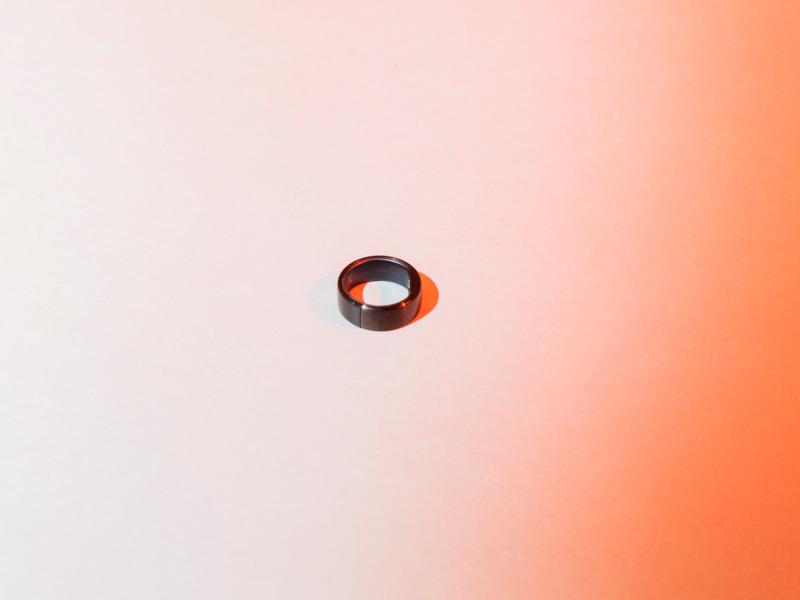 While my evidence for the Motiv ring’s accuracy is anecdotal at best, I found it to be mostly correct, mainly because it fits closer to the skin than a smartwatch (or worse, just carrying your iPhone in a pocket). I’m not someone who’s constantly in the gym, but I do like to know how active I’ve been, how many calories I burned, what my heart rate looks like, and what that data looks like over time. The Motiv ring is perfect for this. It tracks all of those things without you having to do anything – it even senses when you’ve raised your heart rate at all, and politely asks, “Were you active?” From there, you can let it know which activity you did and how strenuous you found it. I loved this feature, because it allowed me to get credit for my 15 minute walk to the subway in the morning or my stroll at lunchtime, alongside an actual workout at the gym. Most of the time when I use fitness trackers, I’m turned off by their incessant push to be more active. But Motiv was different – the app always seemed pleasantly surprised when I went for a run or a long walk, as if I was constantly exceeding its expectations. While that’s mainly because of the language the app uses and the user interface, its effect was to encourage me to be active, rather than scolding me when I wasn’t. I didn’t track my sleep using the Motiv ring because, frankly, I don’t care. I sleep just fine most nights, and I’ve never felt the need to track my sleep cycles. But if you are interested in sleep tracking, the Motiv ring would be a good option due to how small and generally comfortable it is. If you’re not familiar with 2FA, it’s basically an extra level of protection on your accounts – an additional way to confirm your identity and protect against hackers. Motiv’s 2FA works with Google, Dropbox, Amazon, and Facebook. Once you set it up using the smartphone app, you’re good to go. Here’s how it works: When you log into a website, you’ll be prompted for your password, as usual. But after you enter your password, the site will ask for your second level of authentication, which most people set as a six-digit code sent to their phone. 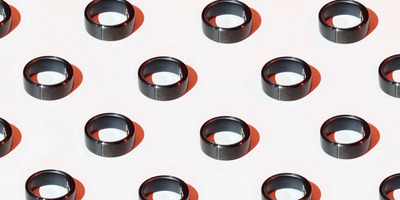 This is where you can use the Motiv ring instead – Motiv has a built-in gesture (basically, you flip your hand over a few times) and it should automatically fill in the code and let you into the website. In my experience setting this up, I’d say it doesn’t quite work as seamlessly as Motiv wants it to. I set up 2FA with three sites – Google (where I have two accounts), Facebook, and Dropbox – and could only get it to work on Dropbox, and only after I performed the gesture four or five times. In fact, I had to wave my hand around so many times in the course of trying to set this feature up that I ended up with a sore wrist. Minor injury aside, I think there’s a lot of potential here. The feature is forward-thinking, and particularly important in this day and age. If more people adopted two-factor authentication, they’d have a lower risk of their personal data being compromised. But the problem right now is that it’s time-consuming and annoying to set up, and requires an extra step every time you want to log into a website. Having a ring that can do it in just a few seconds would alleviate a lot of headaches. Motiv’s 2FA feature isn’t quite seamless yet, but my guess is that it will only get better over time. The new Motiv ring doesn’t come cheap: at $US200, it’s certainly an investment, and you can get a full-fledged smartwatch for the same price. And while the ring is made for a broad audience, it’s certainly not for everyone – more serious athletes likely won’t find the data comprehensive enough, and those who are serious about online security will likely be frustrated by the fact that 2FA doesn’t work perfectly the first time. Here’s a good example of who might like it: Let’s say you’re someone who doesn’t own a fitness tracker, but you’re considering dipping a toe in the water. You sometimes check your Apple Health app when you’ve walked a lot in a day, but you’re not convinced it’s accurately tracking your distance. But you also don’t want notifications, you hate having to charge your devices, and you find most fitness trackers uncomfortable to wear over long periods of time. If any of the above rings true, the Motiv ring is perfect for you. My view on fitness trackers and wearables as a whole is that they should do only a few things well, and integrate into your life so seamlessly that you can often forget they’re even there. By that rubric, the Motiv ring succeeds.